I tell them that my key to success lies in planning ahead, preparing, and having the right tools for the job! When you plan ahead and prepare for your day, your home is in order. You know what you are making for dinner and you have all of the ingredients you need to make that meal. You can celebrate special events such as birthdays and create special family traditions because you took the time to plan ahead. Running a busy household isn't that hard. You just have to plan and prepare for it! But what paves the way for you- is to have the right tools and resources to get the job done! Of course, I have all kinds of recommendations for organizing tools for all areas of your home! You can find all of my best picks for busy Moms here! You can focus on the things that bring joy to you and your family! Throwing great kids birthday parties using some of my free fun printable party games! Cooking food that kids will actually eat! I have an entire Free Printable Resource Library for you to use too! I love being organized- and creating free printable packing lists, grocery lists, checklists, and planners are my thing! 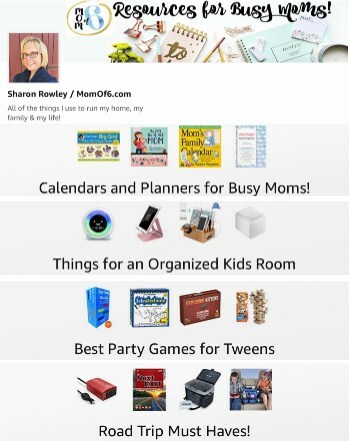 So I crafted a page just for MomOf6 newsletter subscribers that is packed with free printable downloads you can use to help you organize your life and your family, plan for holidays, head out on a road trip, or host a great birthday party at home! Want to take a look? 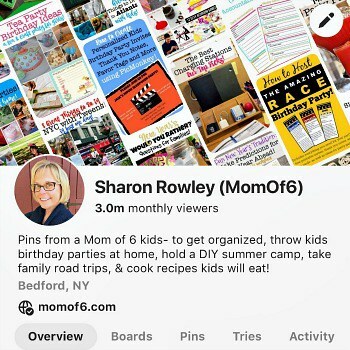 Simply sign up below and join the MomOf6 community- and you'll be directed to a thank you page with access instructions! I love to connect with MomOf6 readers! Questions about Guest Posts and Partnerships? I am no longer accepting guest posts or working with brands on sponsored post content. 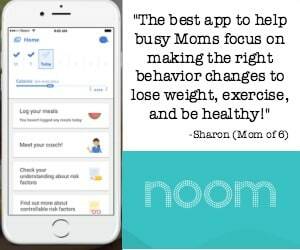 If you would like to contact me about an affiliate program- I am open to new partnerships if I can first try the product to determine if it is truly a great resource for busy Moms. Products sent for review cannot be returned. Interested in featuring my work? Please see my Permissions page for requirements. Ever consider that maybe she can afford the Mercedes because she works to budget and save money in other places. Who cares what she drives! Great blog from a cute lady who’s just trying to share useful tips with those of us who need her help! Keep up the good work Sharon! LOL!! Yes by the looks of your house and Mercedes you need to spend every minute budgeting! If you want to save some money maybe you should downsize to a Ford??!! Hi. I just saw you on financially fit on Yahoo!, and I was wondering your husband does for a living. I see your huge house and your Mercedes. I think it’s kind of funny that a very “well heeled” lady as yourself speaks of clipping coupons! Thanks! I ran into your blog while searching for Rainbow Loom for my daughter’s BD party. I am very inspired by your blog. Thank you for your blog. 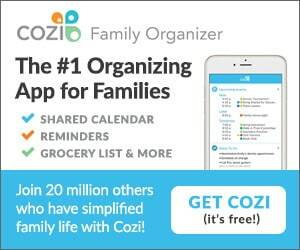 I am a working Mom with 2 kids and often feel overwhelmed. I found that I am often inundated with paperwork. I will try to implement your techniques. I would like to know what do you do with all the kids homework pieces of paper and artworks and all kids related stuff. I tried to keep the important ones and they do pile up on my dinning table and then ended up in boxes in the basement. Thank you again and have a great day. So glad that you happened to find Momof6! Great question on the paperwork. I resolved a long time ago- that you can’t and shouldn’t save everything the kids bring home- you’ll become buried in it! I keep a basket on my kitchen counter where I place school papers in that the kids bring home- completed school work, completed homework, art projects, that sort of thing. If the kids make something truly unique and special at school- I’ll tape it to the fridge for awhile. The basket gets regularly emptied into the paper recycling bin (once a week or so). The stuff on the fridge stays up for a while, and then some of it gets recycled and some of it saved. Each child has one box of special papers that I save throughout their elementary school years. But it all has to fit in that one box! Thank you Sharon for the tips. I will definitely try it out. I am also a mom of 6 and need some inspiration. Thanks!! Thanks for your post over at Organizing Junkie about packing for road trips. I love the bin concept. I can’t wait for our next family road trip so I can try this system out 🙂 I look forward to diving in and reading more of your posts. 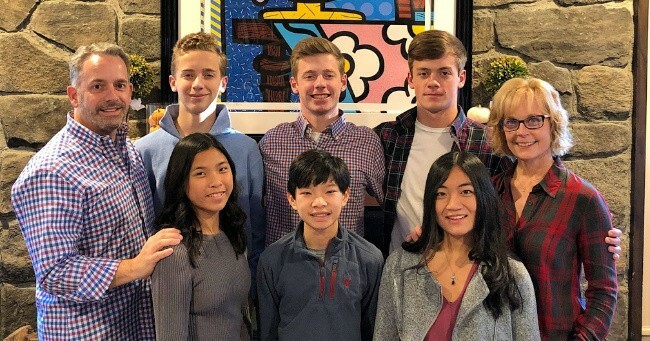 With my own six kids to raise, I always love outside ideas on how to keep things rolling as smoothly as possible. Keep up the good work and sharing your ideas. Awww, adopting is so sweet, I would so love to do that. Hi Sharon! Thanks for linking up to my special About Me Pity Party last week. I love that you share your tips to run a smooth household with six children. You’re awesome! Love your Pity Party Mique and I try to link-up often! Thanks for stopping by! So glad you found Momof6, in our little corner of the blogosphere Annie! Welcome! I am also the mom of six children, with ages ranging from 17 years to 18 months. Anything homemade is fine by me, in fact I love doing things myself. I really like your website, and the article about the lego party. Tyler will love is party, thanks to your awsome ideas! Thanks Charmain! It is alway good to find another Mom of 6 kids! We have 4 kids so far (5,4,3,1) and I love it! we aren’t finished yet (I would love 6!) and I am very big on routine and organization (people always wonder how we do it- when it really seems natural if you’re organized)! AND it allows for lots of creativity and fun too. I really think it’s great that you’ve adopted too. my parents also had 3 kids (me and 2 more) and then adopted…and adopted… and adopted some more until they had 16 in total! So I had some early practice! Becky I am so glad that you stumbled your way on over to Momof6! It seems like it wasn’t very long ago that I was in your shoes with four of my children under the age of 6! And the story that you share of your family while growling up just amazes and impresses me! I hope that you come back often and share more of your stories- what organizational tips work for your family… and where your struggle are. I hope we can all learn from one another here! I have 4 very active tweens and teens, and often feel like I’m behind the eight ball, back peddling all the time, very discouraging. I need a good plan that’s doable and a bit flexible if something unpredictable happens. i wish you would share you tips and tricks. Thanks!